Having your child participate in competitive gymnastics provides many great opportunities. Your gymnast will learn life skills, build strength, and gain memories that last a lifetime. Competitive gymnastics can be a big commitment, especially at the higher levels. The sport requires time, money, dedication, and even sacrifices so it is important to find the right competitive team for you and your family. Below are 5 points of focus to consider when finding a gymnastics home for your athlete. Follow the recommended Safe Sport procedures in order to keep all athletes in the organization safe. These include, having all coaches complete the Safe Sport certification along with passing a Background Check. In addition, Safe Sport includes never allowing an athlete to be alone with a coach and committing to listening to athletes and reporting wrong doings if the need should ever occur. Safe Sport is in place to prevent physical, verbal, and sexually abuse. 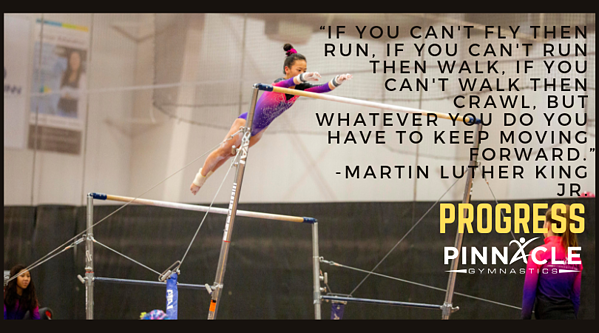 Safe programs teach gymnastics through progressions. Gymnastics should be taught in a systematic approach. This means that a gymnast should master each piece of the skill prior to moving to the whole skill and they should master the easier skills, the basics, before moving to the more advanced skills. Gymnasts must also feel that they are learning skills at a safe pace. When a gymnast learns skills too quickly they can learn bad habits and become fearful leading both to an increased risk of injury. One other consideration when it comes to safety for competitive gymnasts is the facility itself. Is the facility and the equipment well maintained? Maintaining safe equipment includes fluffing the pit and checking the equipment on a regular basis, as well as replacing when needed. Positive coaching is a must when it comes to youth sports. Positive coaching keeps children in the sport and builds their self-confidence and self worth while learning the game. 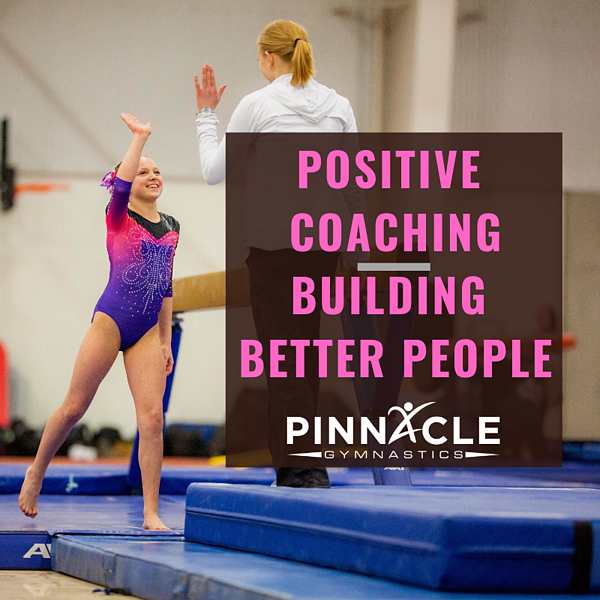 Look for a program that has partnered with the Positive Coaching Alliance (PCA) when selecting a team for your child. The PCA works with programs and teams to educate the coaches, parents, and athlete the importance of coaching the person first. Their focus is on building triple impact competitors, athletes who are committed to improving themselves, their team, and their sport. Positive coaching does not mean that the team doesn't also want to win, it just means they keep winning in perspective. The focus is on building better people and enjoyment for the sport which helps your athlete be successful on and off the competition floor. Balance of Gym and Home Life - Keep in mind your gymnast is a child first and a gymnast second. They will need a balance between school, friends, sleep, gym, downtime, and other activities. It is important to look for a program that supports this need for balance in order to prevent athlete burn out. Balance Winning and Fun - The number one reason that children quit sports is because it is no longer fun. Winning can certainly be fun, but it is likely not enough. Fun should be part of the training environment. Your child should enjoy parts of each practice. Balance of Skill Development and Character Development - Asking any gymnastics coach and they will tell you skill development is very important. However, character development should be equally important. Children will only be gymnasts for a portion of their life, but the character development they gain from gymnastics can be carried with them throughout life. Watch for the progress your child is making in the sport. Regardless of the program, Xcel or Junior Olympic, your daughter should make improvements over the course of the season. This doesn't always mean that they will be winning or moving up, but they should feel like they are accomplishing goals over the course of the year. Sometimes, the goals will be very small (possibly even unnoticeable by a spectator), but goals are goals. In addition, as a parent you should always feel comfortable asking your daughter's coach about the progress they are continuing to make. One of the best ways to find a great competitive team program for your athlete is to watch the other athletes on the team. Do the athletes seem to be happy and productive or do they look discouraged. You want to find a program where your child enjoys going to practice. You want them to think of their teammates like family and you want them to respect their coaches. Gymnastics should be a fun activity. That's not to say there won't be tough days, but the best team programs will help you teach your child that working hard is a serious kind of fun! 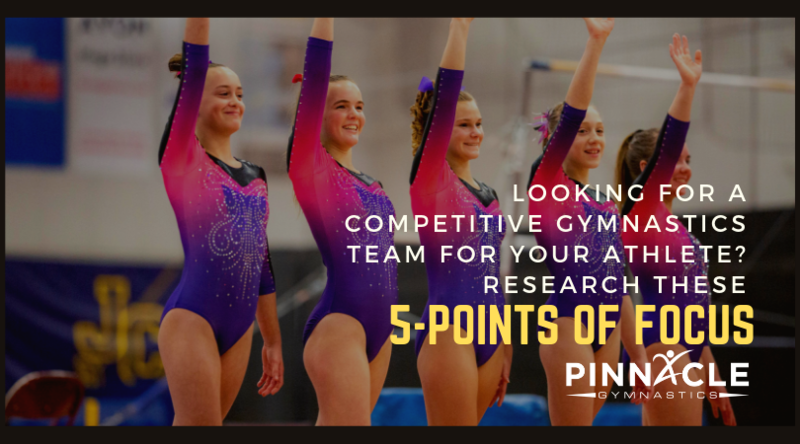 If your child is at the beginning of their competitive career just getting ready to tryout, or if you are looking for a new gym to call home, take the time to research the five points above so you can find a happy gym home!